Have you ever visited a website in Safari on your Mac and wanted to share that link via email to someone you know? If you go to the File menu and choose Share you can choose to “Email this page,” but that will send the entire page in an email. What if you just want to send a link? Personally, I prefer sending a link. What if the recipient has a slow connection? A link is a lot easier and faster to download in an email. You could always copy and paste the URL into an email, but this is a faster way. 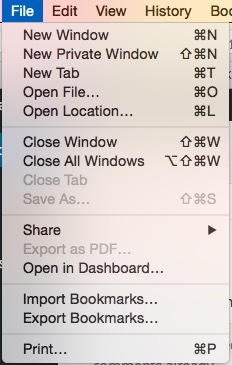 Visit the same Share menu mentioned above. This time hold the Shift key down. You will notice that “Email this page” is now “Email link to this page.” Clicking that will compose an email with the link to the page and not the entire page. It’s that simple, or basic. MyMac Podcast 570: Security, what is it good for? If you’re using Chrome, you can just click on File, Email Page Location.